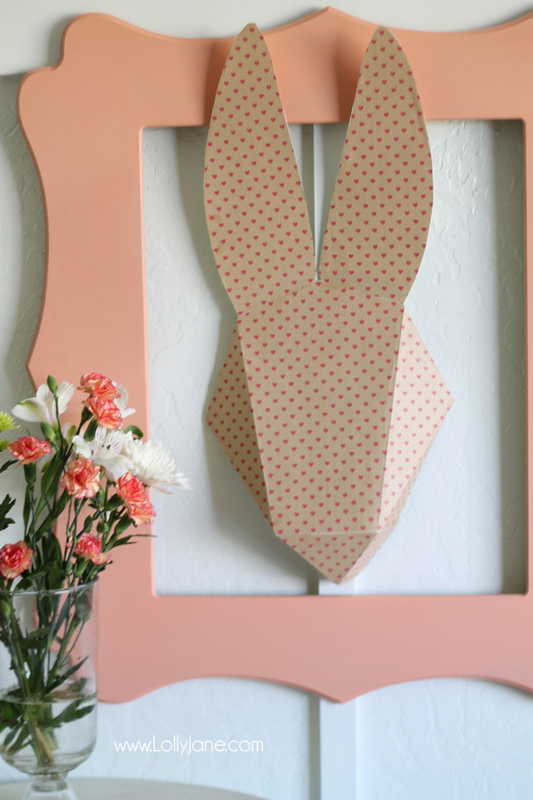 Easter weekend is coming up and we’ve found the easiest garland you’ll ever make to spruce up that spring entryway for your big Easter dinner! Guess where these supplies came from? Oh Dollar Tree, you have done it again! 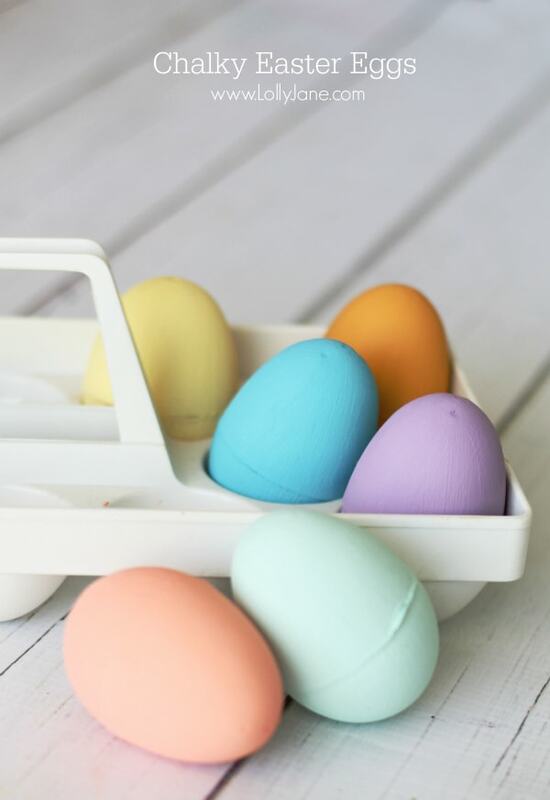 We love to take our kids to the dollar store for a little prize or treat and while browsing this week, came across these cute glittery foam Easter eggs. 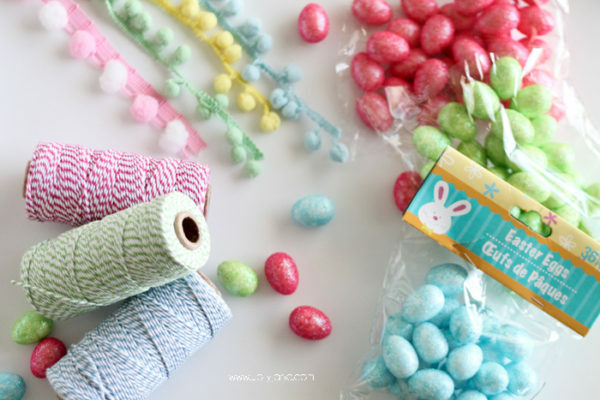 Hello 35 little eggs in blue, green and pink for just $3! We stopped by our local ribbon store (you heard that right, this store ONLY carries ribbon. It’s aaaaaaamazing!) 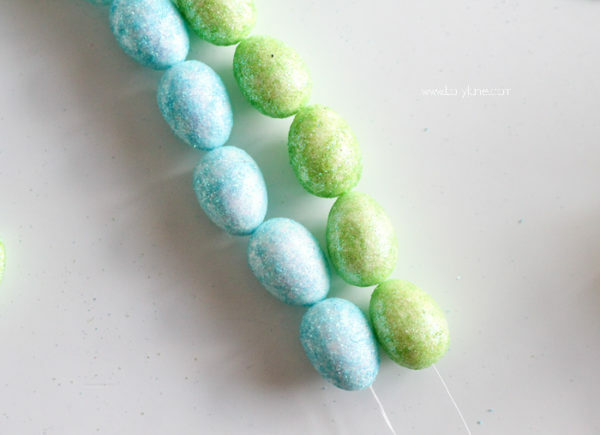 and snagged fun pom pom ribbon in matching spring hues to create an easy Easter egg garland….. that you can whip up in 10 minutes or less and for under $5. Holla! 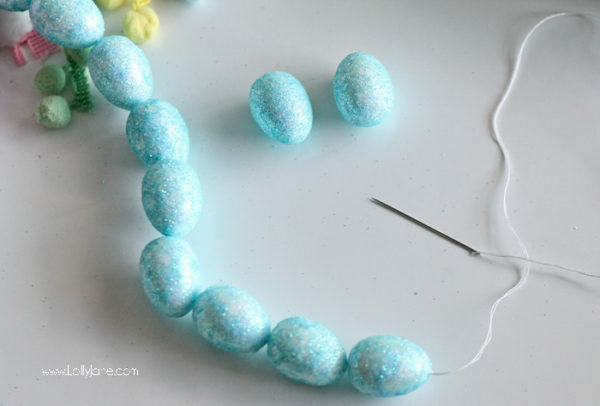 To get started you’ll need 2-3 packages of egg vase fillers, a sewing needle and thread. (Psst! We snagged our glittery eggs at Dollar Tree for $1/package- there’s 35 cute little eggs in each pack. Hello smokin’ deal!) We tried to string it with bakers twine buuuuut didn’t have a big enough needle on hand. Boo. #craftfail LOL! We made 2 strands (green and blue but our dollar store also carries pink and yellow) then tie the ends together for easy hanging! That’s it! 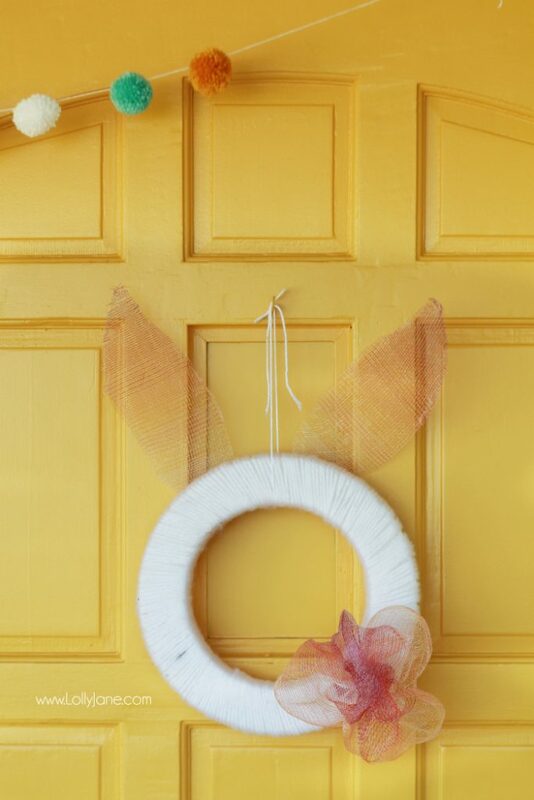 Pair with a few strands of pink and yellow pom pom ribbon and hang. 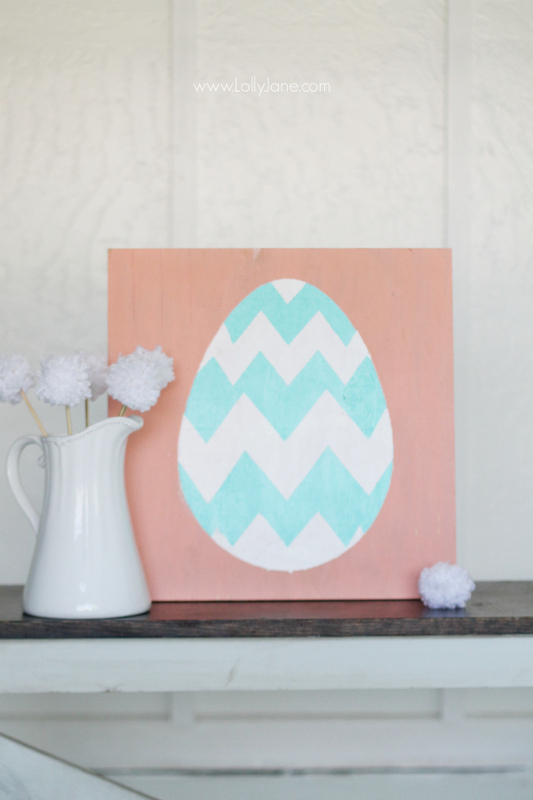 A simple but cheery piece of decor sure to brighten your space! 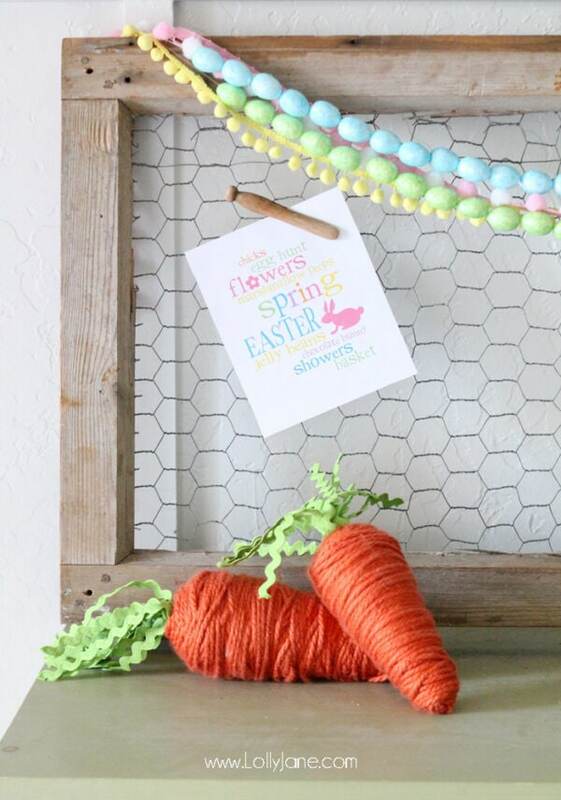 We clipped our free Easter subway art to a chicken wire frame and the colors of the printable look super cute with the glittery hues of the eggs. 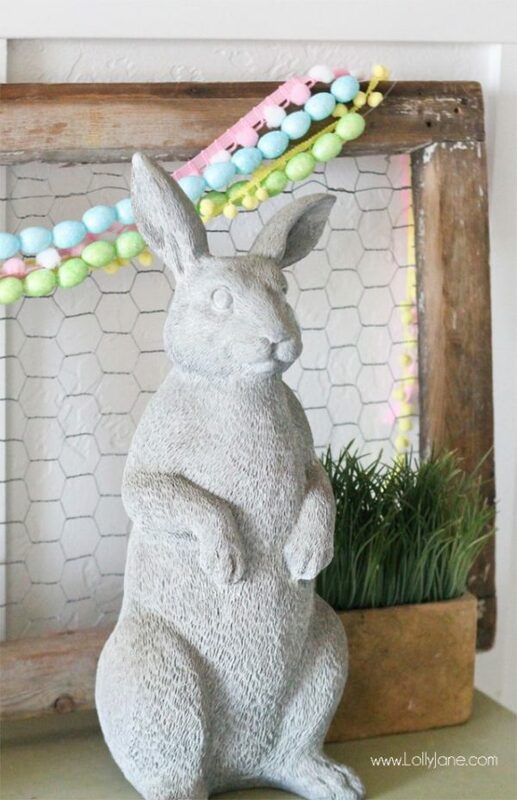 Check out more fun Easter/spring projects like our Chalky Painted Easter Eggs, 3D Bunny Head, Easter Bunny Wreath, Easter Mason Jars or our Easter Egg Sign! Oh such cute ideas!! Love it girls! 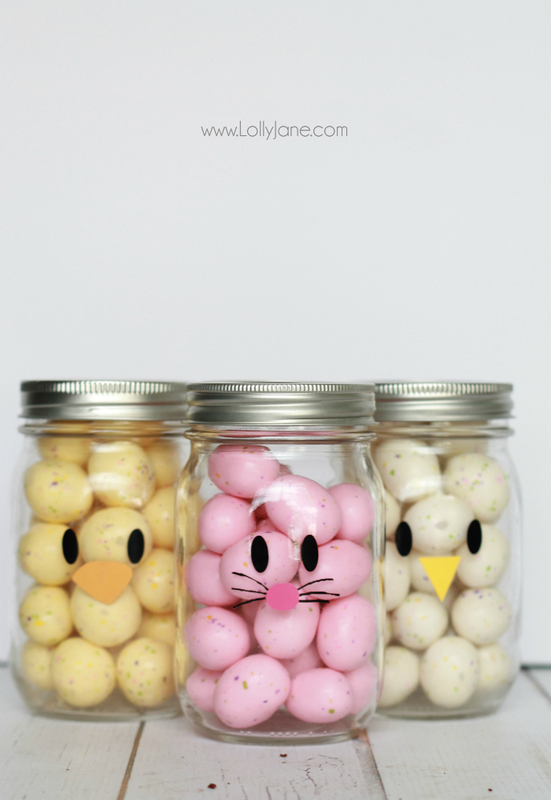 I love your Easter jars. Those are adorable! Super cute ideas! 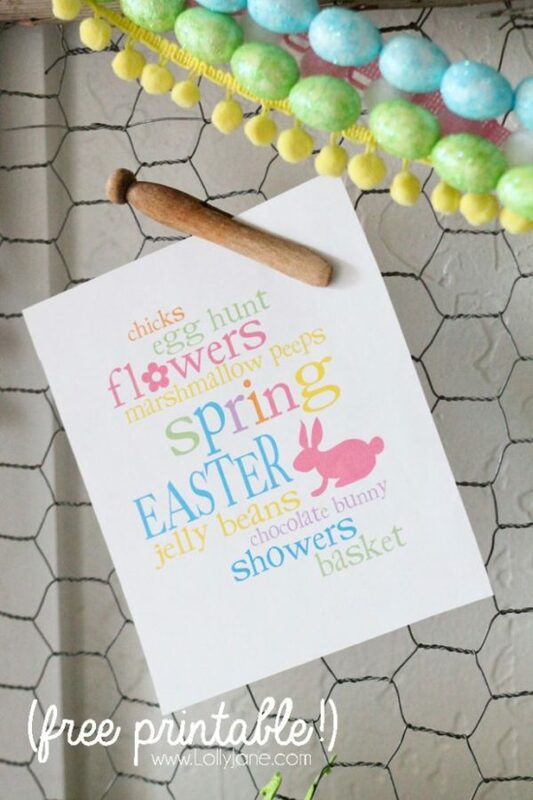 I love the egg garland, and the price tag! Thank you for sharing at Celebrate It!